Ratae was built up on the eastern banks of the River Soar, giving protection to the city and also providing much needed water for industry and bathing. To supply the amount of water needed to run public baths Roman engineers had to use a stream, upriver of the baths and on the same side of the River Soar. The nearest such stream is Knighton Brook, two kilometres to the south. 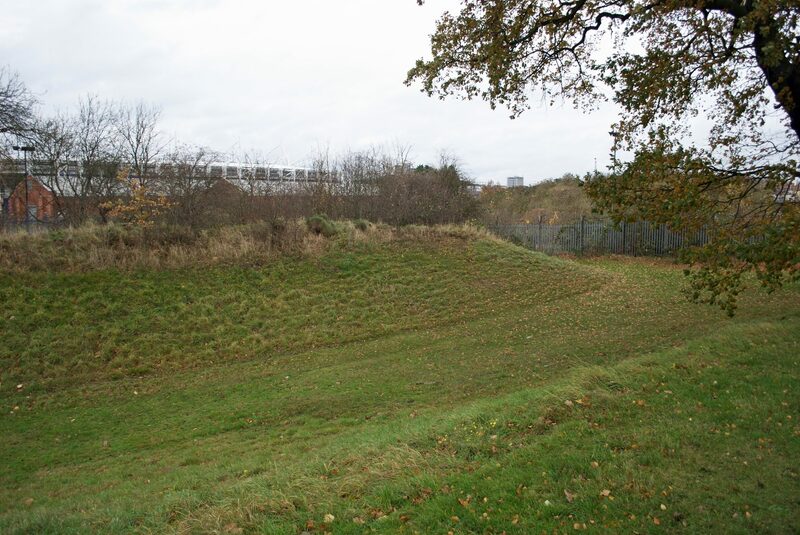 At The Raw Dykes near the Leicester City football ground you can visit the remains of a large earth aqueduct that was used to transport water from Knighton Brook to Ratae. We know from old maps that it was once more extensive, running towards the city – what we don’t know is exactly how the engineers helped the water to move uphill from a spot that was below the level of the baths at Jewry Wall, but we do know from other excavated sites and Roman writing that Roman engineers were very skilled at constructing aqueducts like this. Once it reached the bath site, water would have been stored in a large reservoir or cistern that was located in the south west corner of the site and then directed to the furnaces and drains.